Facebook has implemented comments into the private messages. To use emoticons in Facebook comments you need to use shortcut codes shown in the table below to get the desired emoticon. 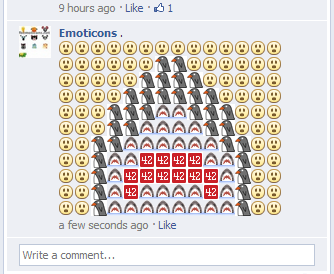 These are the same smileys which can be used for some time in Facebook chat. 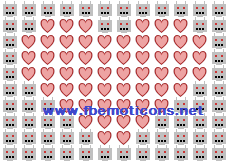 If you want more emoticons there is a link at the bottom of the list. Are you ready for some more fun with emoticons? Why can’t we see the pic?